Glass Fibre Reinforced Nylon Tank Connector. 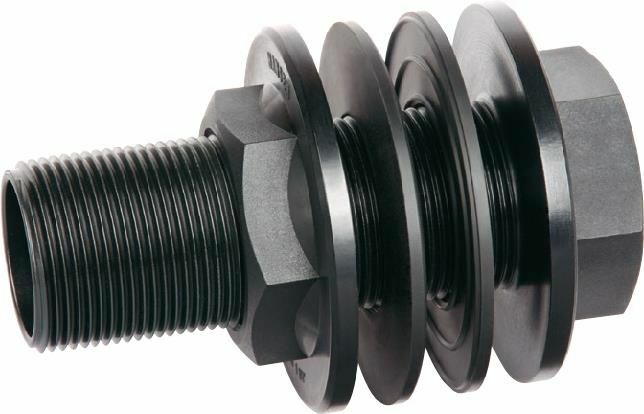 Male threaded mid-section to end, fixed top flange with female threaded end, 1 x rubber washer, 1 x low density poly washer and adjustable back nut. 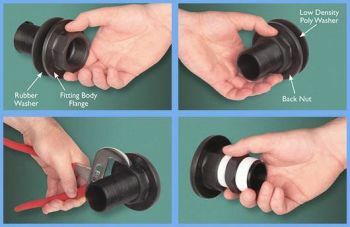 Ideal for watertight pipe passage through wall or tank side. 16 Bar maximum pressure rating.